SecretBuilders Builder Logs: Great Parties at Dizzywood This Week! Great Parties at Dizzywood This Week! You must have already seen our new land - Dizzywood! This week we're welcoming all Dizzys to SecretBuilders, so we're hosting series of parties. 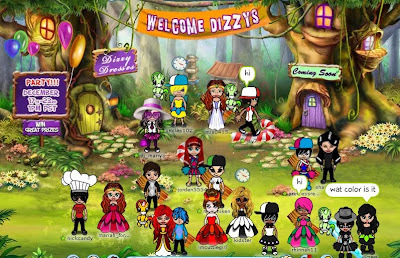 Please join us tomorrow at 1pm PST for another great party at Dizzywood! Be ready to answer trivia questions and you might even win one of the great prizes!